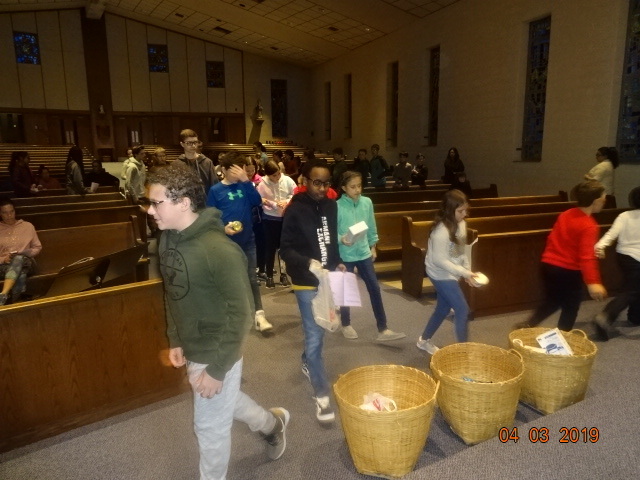 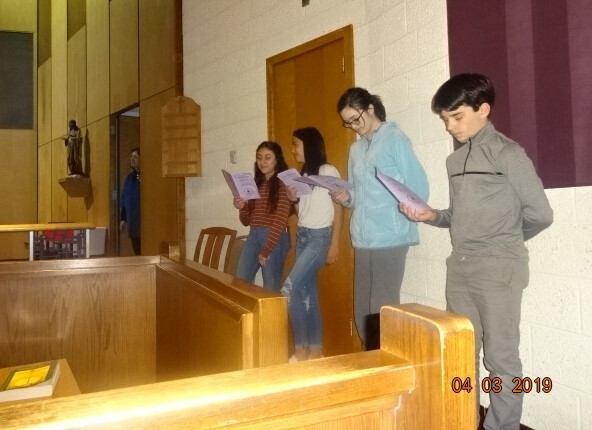 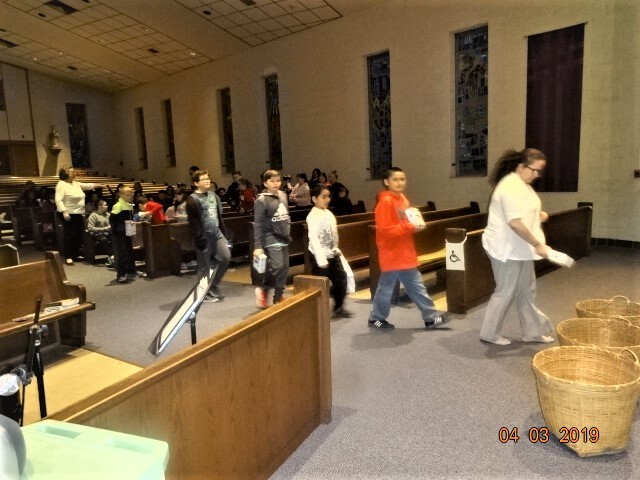 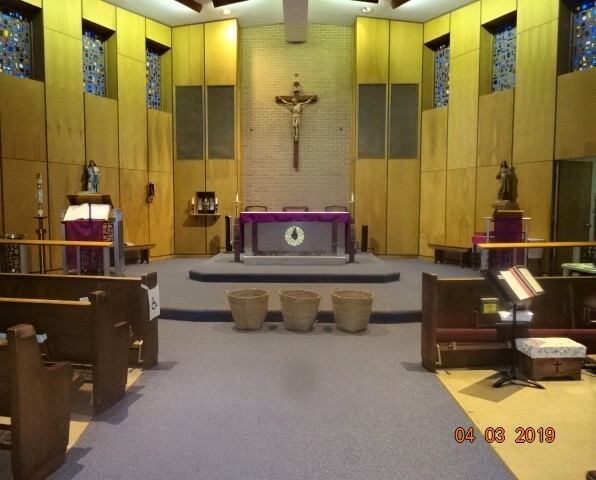 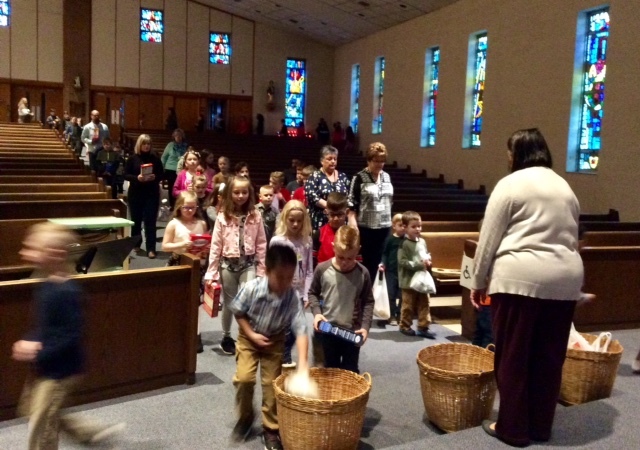 By Judy Lamborn in Announcements, Photos on April 15, 2019 . 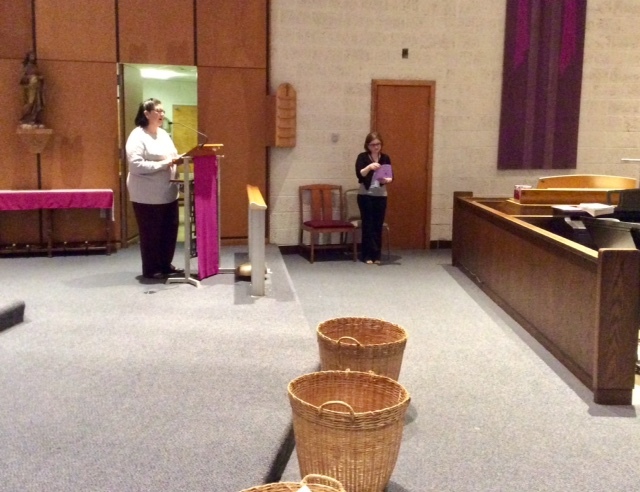 Lent is a special time when we share the concepts of prayer and stewardship giving. 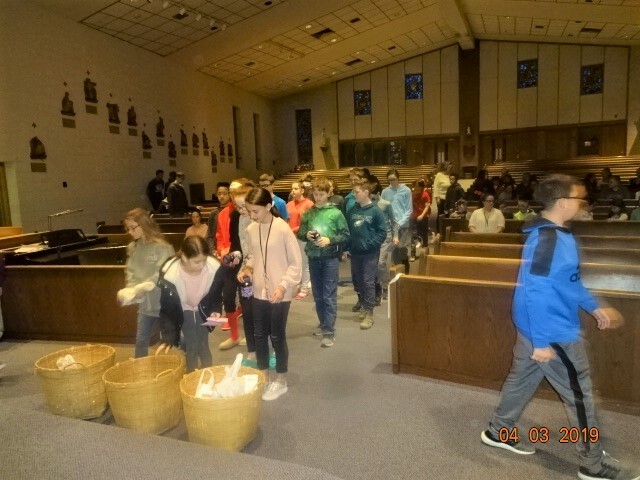 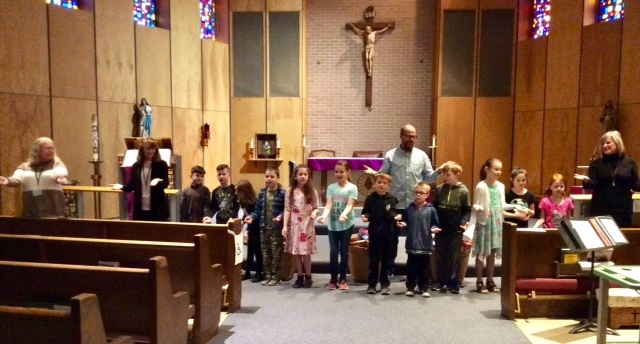 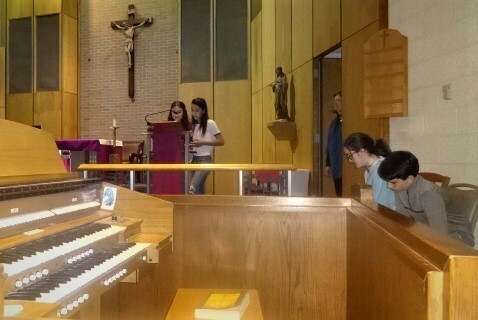 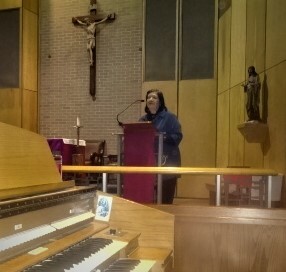 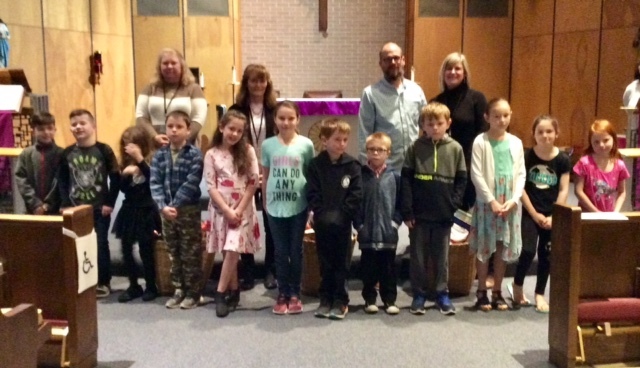 During the season of Lent, our Parish School of Religion had an opportunity to take part in a special program of Lenten outreach. 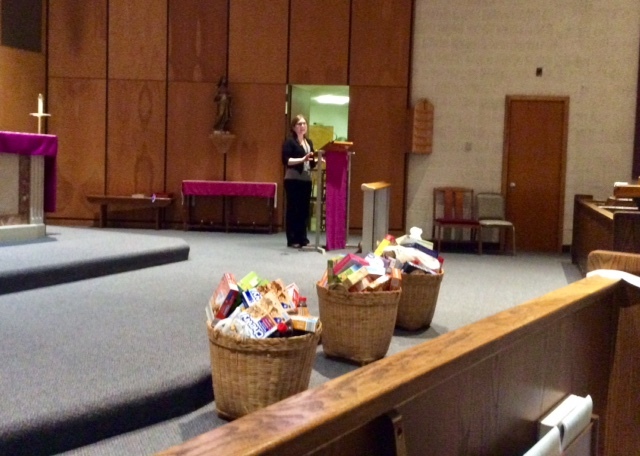 By participating in it, our students put into practice one of the Corporal Works of Mercy – feeding the hungry. 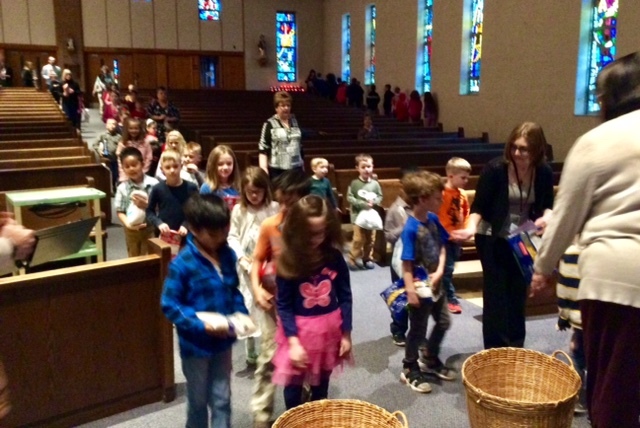 On an assigned date during Lent, each student brought in a food item to be donated to the Smyrna-Clayton Food Pantry. 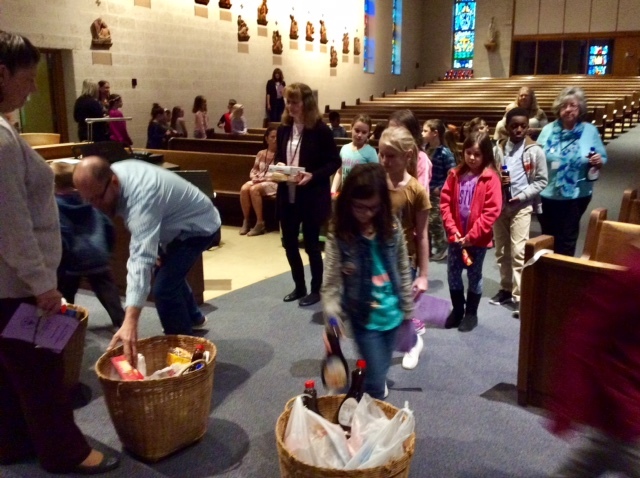 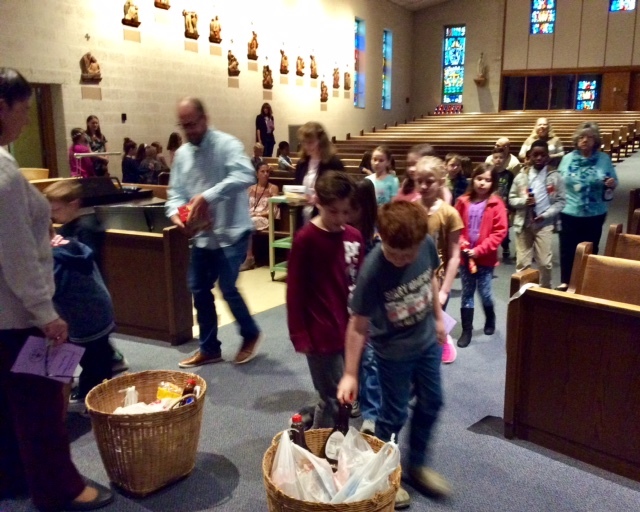 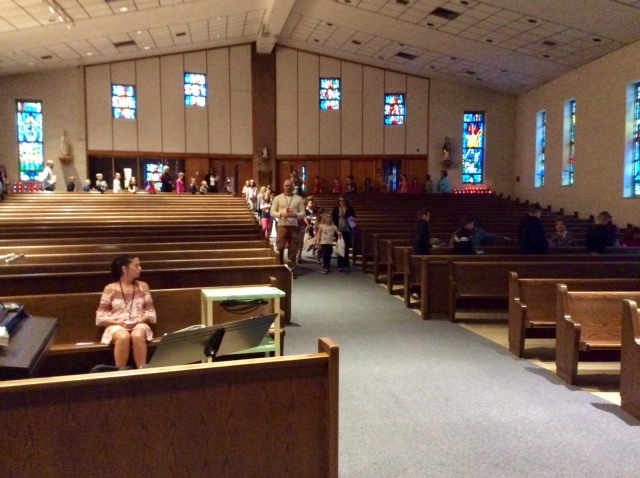 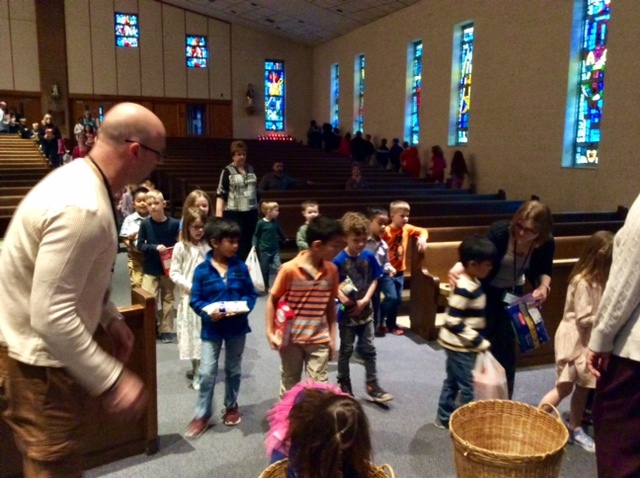 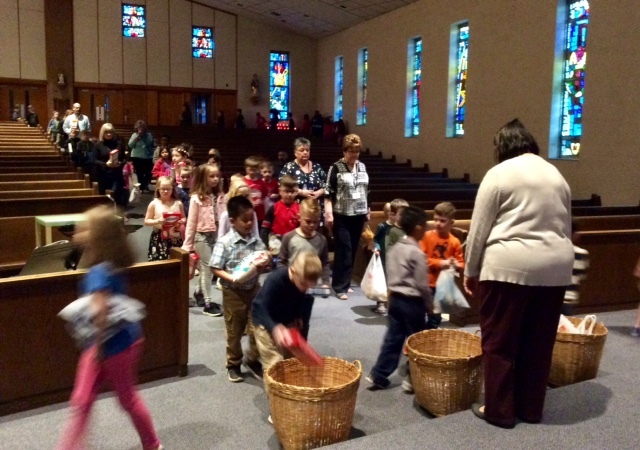 The children gathered together for an Almsgiving Prayer Service during which time they handed in their food donation. 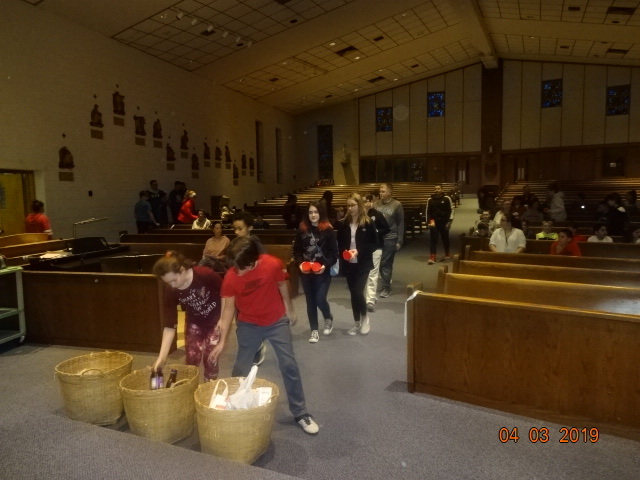 To make this activity as meaningful as possible, students were encouraged to use their own money to purchase the food.